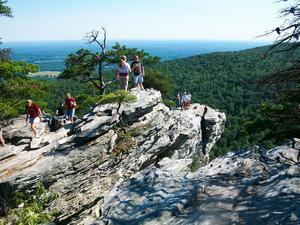 This trail is located in the Pilot Mountain State Park area. 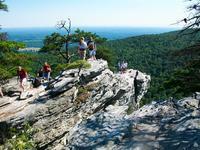 For a list of all the trails in that area, see the Pilot Mountain State Park trails list page. 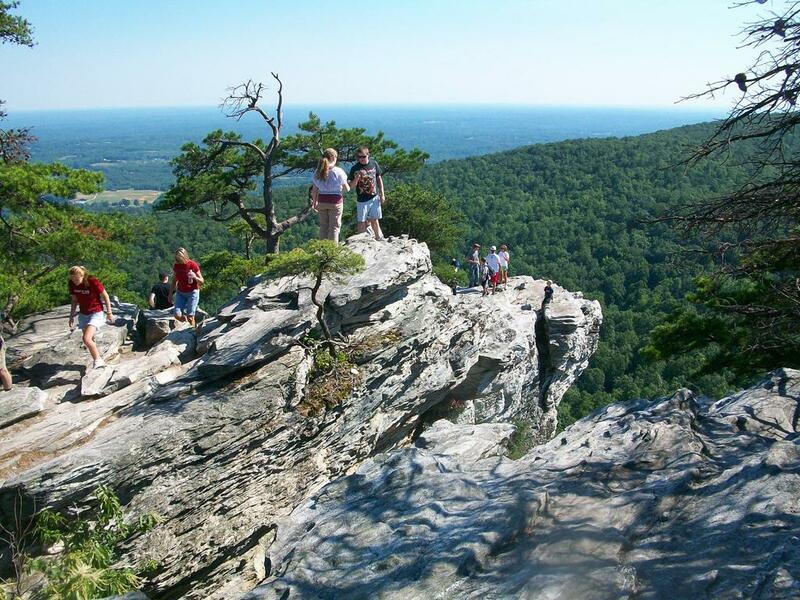 From Surry County boundary through Stokes County: (This section includes 7 miles of trails in Hanging Rock State Park.) The Sauratown Trail that connects Pilot Mountain to Hanging Rock has been designated by DRP. The Sauratown Trail is a horse and hiking trail. Major road crossings are NC-66, NC-8/89, and US-311; towns are Danbury and Walnut Cove. Leave bike route #4 in Danbury and follow NC-89 to Walnut Cove, but NC-55 into Forsyth County. The Sauratown Trail offers 22 miles of hiking or horse back riding on the MST to Troy's Den at Hanging Rock State Park, where the MST exits the Western NC area for the purposes of this site. Dwayne Morrison said: I can't download GPS Data to my Garmin. My PFD reader says it can't open it. I'm selecting GPS. What do I need to do?